Music composer Anu Malik has stepped down as an Indian Idol 10 judge following multiple women accusing him of sexual harassment. Bollywood’s well known music composer Anu Malik is exposed in the on going Me Too movement which is spinning at the lighting speed in India. 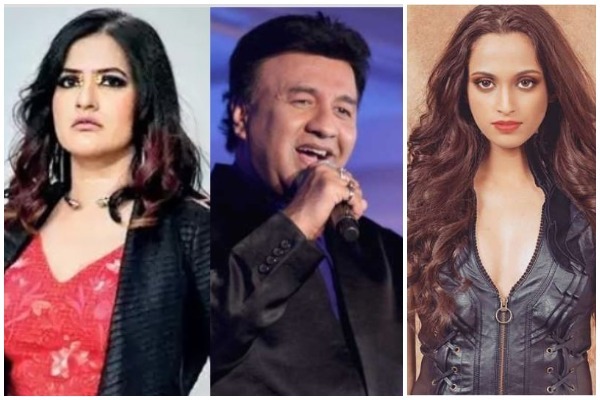 After singer Sona Mohapatra revealed the true face of Anu Malik, more celebrates from the music fraternity have been coming forward claiming their MeToo stories faced at the hands of Anu Malik. After prominent Bollywood celebrities names are exposed in the the wake of MeToo in India, India is finally opening up with their stories of sexual harassment and believe in them too. After men controlled, ruled and took advantage over women from ages, the #TimesUp is finally seen arriving in India. After Sona Mohapatra, another celebrity from the music fraternity alleged Anu Malik of sexual harassment. Shweta Pandit shared her ordeal on twitter stating that she had to revisit her cruel past to reveal the true face of Anu Malik and thanked Sona for giving her the courage to speak. Singer Caralisa Monteiro, who has sung some popular Bollywood songs including Nashe Si Chadh Gayi, Ranga Re, Phir Dekhiye, Salaam Namaste, Mitwa and Jaane Kyun among others, shared her own experience where the composer allegedly asked her to come home. Sajid Khan Sexual Harassment Charges; Amrita Puri Says He Is ‘Creep’ and His Family Knew About It! As more and more women are alleging Anu Malik for sexual harassment and inappropriate behavior, Sony channel have released a statement saying that singerAnu Malik has stepped down from the jury panel of singing reality show, Indian Idol. The television channel’s statement says a replacement will be found for him who will join the other two judges on the show, Vishal Dadlani and Neha Kakkar. “Anu Malik is no longer a part of Indian Idol jury panel. The show will continue its planned schedule & we’ll invite some of the biggest names in Indian music as guests to join Vishal and Neha to judge extraordinary talent of Indian Idol season 10,” the statement read.